Race 2. 1600M Visit Victoria Handicap (Time 1:36.71/600m 34.90) HE’S REMARKABLE KERRIN MCEVOY 1st $5.50 ERASET DWAYNE DUNN 2nd $5.50 FINIGUERRA HOLLY MCKECHNIE 3rd $17 In the betting it was the Sydney runner Erewhon (35.44) that they came for and that forced He’s Remarkable (34.48), Eraset (34.48) and Shenzou Steeds (35.28) to drift. 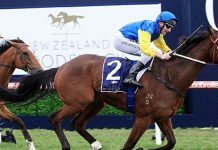 It was an excellent win by He’s Remarkable who was back in the run and let down with an excellent run and he was the only horse to break 23s for his final 400m. Eraset did well and he would have been hard to beat in the Sale Cup had he not been a late scratching. Finiguerra (34.78) and Happy Trails (35.28) both raced handy throughout and I thought they held their positions pretty well over the concluding stages to hold on for third and fourth. Worth noting: Pay to forgive Shenzou Steeds and Erewhon. Race 3. 2000M Antler Luggage Handicap (Time 2:02.92/600m 35.14) MUSICAL HIT DWAYNE DUNN 1st $13 DOMESKY NASH RAWILLER 2nd $13 CON ACT NICHOLAS HALL 3rd $8F In regards to the betting here it was probably the most open race of the carnival . It was a race where they ran along and the on pace runners all felt the pinch and the top six in the finish came from 5th/13th/16th/8th/10th/14th at the 600m. That means Musical Hit (34.78) defied the pattern of the race and was able to fight on and register a really good win. 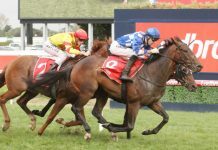 He was only third up and 1600m to 2000m so he will continue to improve and is certainly worth following. Domesky (34.27) and Con Act (34.15) both worked home really well from the back but they were giving Musical Hit too much of a head start. Worth noting: Excellent win Musical Hit, make sure you follow him. Race 4. 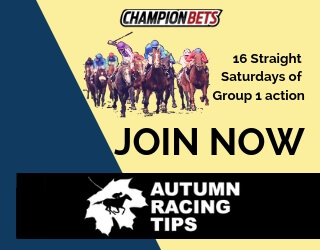 1400M Hilton Hotels (Time 1:24.74/600m 33.85) INSTINCTION CRAIG NEWITT 1st $31 MAHISARA DARREN BEADMAN 2nd $7.50 AMAH ROCK DANNY NIKOLIC 3rd $7.50 If you were on Mahisara (33.88) you were a little unlucky. Although he was caught wide I don’t think it was a shocker from Beadman, he still managed to keep him going well throughout and it was a bob of the head that decided the winner. He clearly covered significantly more ground than the winner Instinction (33.57). The Hot Snitzel and Combat Kitty form is good and we can follow him. Instinction was given one of those runs where everything went right. He had the inside draw, never went around a horse and nailed Mahisara up the inside. Stable has a good opinion of him. Amah Rock (33.79) was very good but just didn’t run out the 1400m as strong as the first two. Mental (33.34) and Toned (33.24) worked home well from the back but were unable to challenge as the tempo was just modest. Worth noting: Lots of good runs here, most sectionals were excellent for all runners. Race 5. 1200M Patinack Farm (Time 1:08.32/600m 32.78) BLACK CAVIAR LUKE NOLEN 1st $1.05F BUFFERING NASH RAWILLER 2nd $41 MID SUMMER MUSIC BEN MELHAM 3rd $31 The champ Black Caviar (32.68) made it 16 on the trot and looked to do it with as much ease as we have seen. Buffering (33.26) was quick to begin and he set the tempo with Black Caviar racing a length off of him. When all other horses were in desperate need to find something Nolen didn’t even move and she just jogged past them and won hard held running her last 200m in 11.69. It is scary to think just how fast she can go. Mid Summer Music was (32.93) well back in the run and she really hit the line hard. 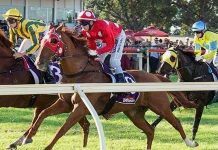 She has progressed into a very good mare and will head to the paddock now and come back for a shot at the autumn or the good mare’s race in the QLD Winter. Worth noting: Worth following the Moody pair Mid Summer Music and Curtana if they run again. Race 6. 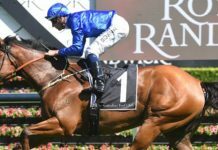 1600M Emirates Stakes (1:36.05/600m 34.28) ALBERT THE FAT MARK ZAHRA 1st $17 KING’S ROSE LUKE NOLEN 2nd $11 SECRET ADMIRER BRENTON AVDULLA 3rd $6.50 This race seems to get better each year and this was a cracker of a field. With the Cox Plate runners dropping back to the mile and the other coming through the 1400/1600 lead ups. Albert The Fat (33.36) was sensational. He reeled off some really good sectionals from back in the field to win narrowly over King’s Rose (33.56). He settled back and relaxed well for Zahra and was given plenty of room and time to wind up. He was the only horse to break 57s for his final 1000m and had the best 800/600/400/200. Great training performance by Waller as the horse had only had one start over a mile in the past. Secret Admirer (33.50) continued her good form and finished third, Avdulla stated that the track may have been a bit hard for her, I can see her coming back even better in the Autumn and that is when she will really stamp herself. Jimmy Choux (33.75) hit the line well with his big weight. Love Conquers All (34.16) battled on well from an on pace run and Wall Street (33.86) was asked to do it along the rail which probably wasn’t the place to be. Worth noting: Most of these ran really well. Forgive the on pacers who punctured as they were running along. Race 7. 2000M Matriarch (Time2:01.29/600m 35.90) VINTEDGE NASH RAWILLER 1st $11 STOLE CHRIS MUNCE 2nd $26 SKYERUSH HUGH BOWMAN 3rd $3.20F Skyerush (35.72) was very well backed and was solid throughout betting. She got what was the run of the race throughout but just wasn’t good enough to get the win. It’s hard to find any excuses for her but she may take a bit of improvement from that run after going from 1600 to 2000. 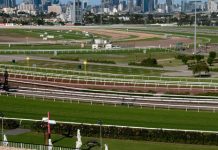 Only four mares had not had a run beyond 1600m this campaign and they were Skyerush (3rd), Ocean Challenger (8th), Our Ella Bella (15th) and Ky’s The Limit (16th). Vintedge (34.84) has been racing really well and she was just too good for them. After being nailed by Foxstar a few days earlier she back up well, jumped from the widest gate and gave them windburn. Another excellent performance by the Waller stable. Worth noting: Excellent run by Stole (35.77). Was the only prominent mare to finish (2nd) better than where she settled (5th) in the run. Most of the other prominent runners were a long way back. Race 8. 2600M Queen Elizabeth (Time 2:44.81/600m 34.46) IRONSTEIN BRENTON AVDULLA 1st $20 SHOOTOFF KERRIN MCEVOY 2nd $9.50 PADDY O’REILLY NASH RAWILLER 3rd $20 Every now and again Ironstein (34.10) can pull out an excellent run and that’s what he did here. He settled off of the speed here and Avdulla angled him out at the right stage and he let down really well and ran his last 200m in 11.90, the only horse in the field to break 12s. Shootoff (34.65) box seated as expected and he just kept fighting all of the way down the straight. He is a pretty good stayer and is racing well again. Paddy O’Reilly (35.23) led them throughout and he did really well to hold on for third. Bauer (35.12) tried his best but he was ridden too close to the speed and that took away his turn of foot we are used to seeing. Connections or Rodd probably just got that one wrong and if they had their time again I think they would be taking a sit midfield like the eventual winner. Worth noting: Liked the run of Montgomery (34.94) from back, good sectionals and will be winning down in grade. Race 9. 1400M Emirates Airline Handicap (Time 1:22.92/600m 34.87) DOWN UNDER BOY NICHOLAS HALL 1st $61 STIRLING GROVE HUGH BOWMAN 2nd $4.20 AMAETHON JAMIE MOTT 3rd $3.80F I am sure many punters around the country were pretty confident of ‘getting out’ here in the last. The top two in the market Stirling Grove (34.59) and Amaethon (34.84) were both well supported at different stages and their price would have enabled you to back them both or even back one and save on the other. Unfortunately Down Under Boy (34.06) who was resuming was able to put in an excellent run and ran over the top of the favs who finished second and third. Rockpecker (34.49) came from the tail also and his last 200m was ran in 11.88, he was the only horse to break 12s. Veewap did pretty well coming off of a freshen and he is worth keeping an eye on. 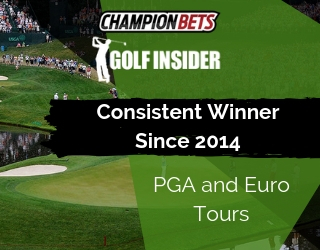 Worth noting: Can’t knock the winner, his price was a big one but his effort to win was very good. 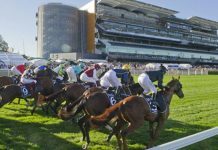 Our guest reviewer Todd Burmester is taking a break this week so there is no Randwick review from Saturday.